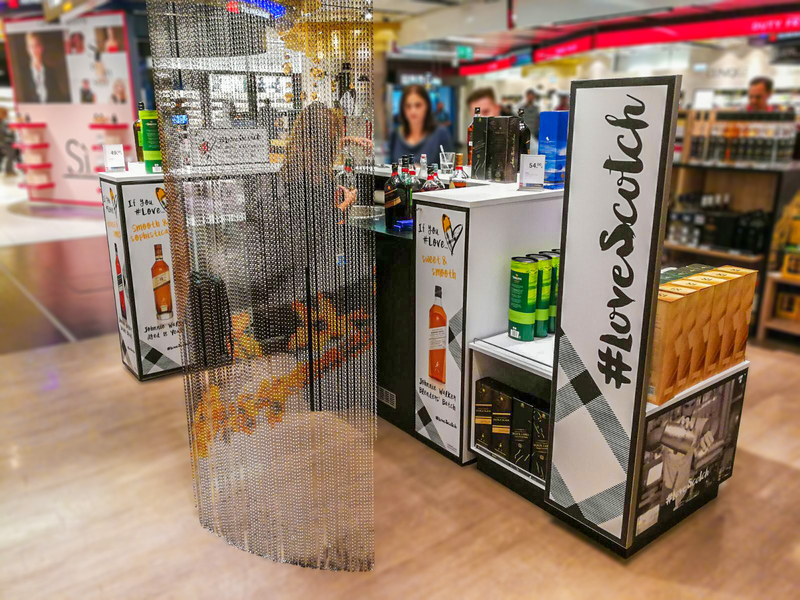 Throughout September, this tasting bar in Vienna International’s Departures Terminal features the new umbrella brand #LoveScotch that aims to engage and educate young adults who are less in the know when it comes to Scotch whisky. 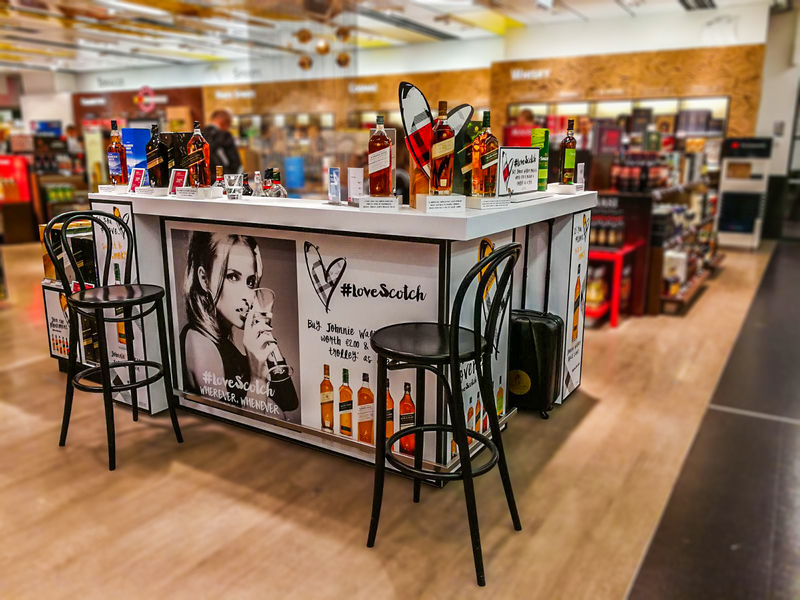 The brand’s tagline, ‘Join the Movement’, printed in a funky and fun font, calls out to younger adults, and cute cut out hearts reinforce the ‘love’ of Scotch theme. 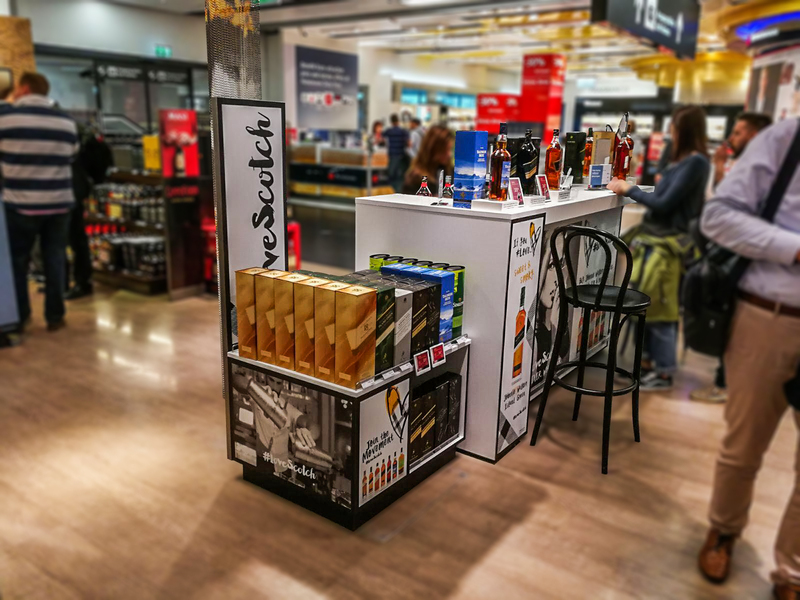 A series of decorated plinths serve to present a range of Diageo’s most popular fine whiskies while providing a helpful description of each whisky’s special characteristics. 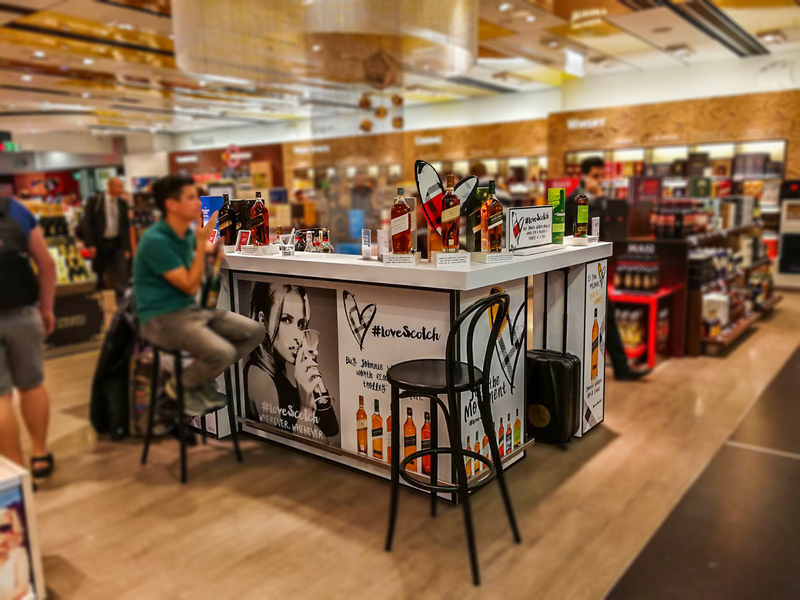 The bottles and artwork really pop against the mainly black and white design and appeals to those who enjoy having a good time with friends and a special tipple!